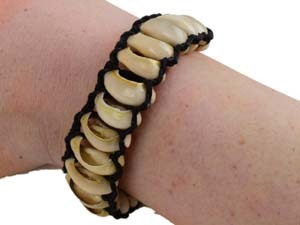 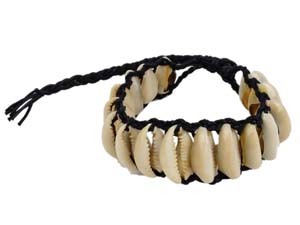 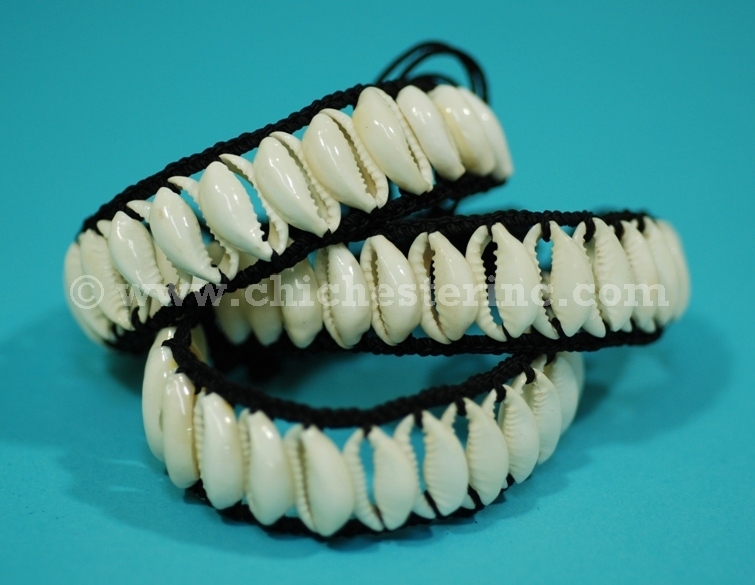 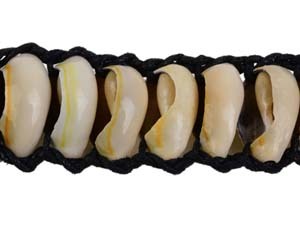 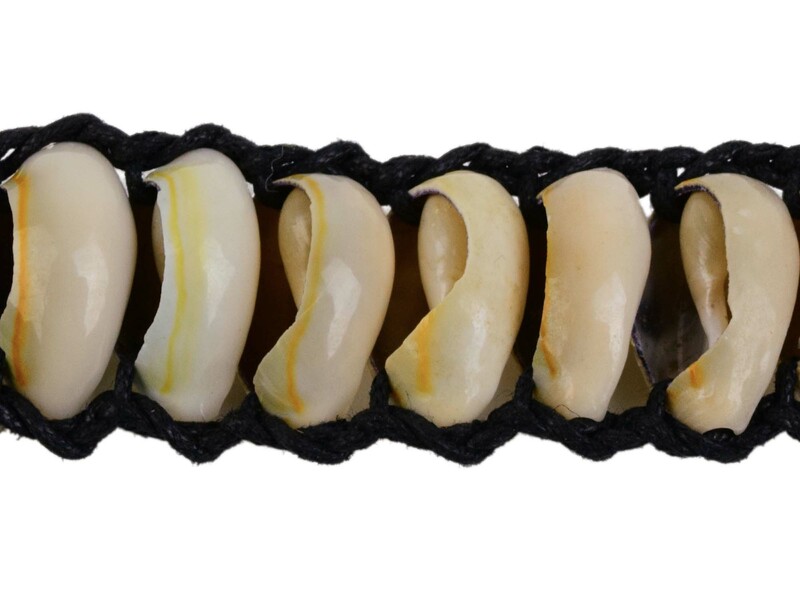 These bracelets are made from cowrie shells and wax cord. 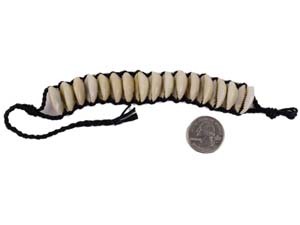 They weigh about 0.3 oz. 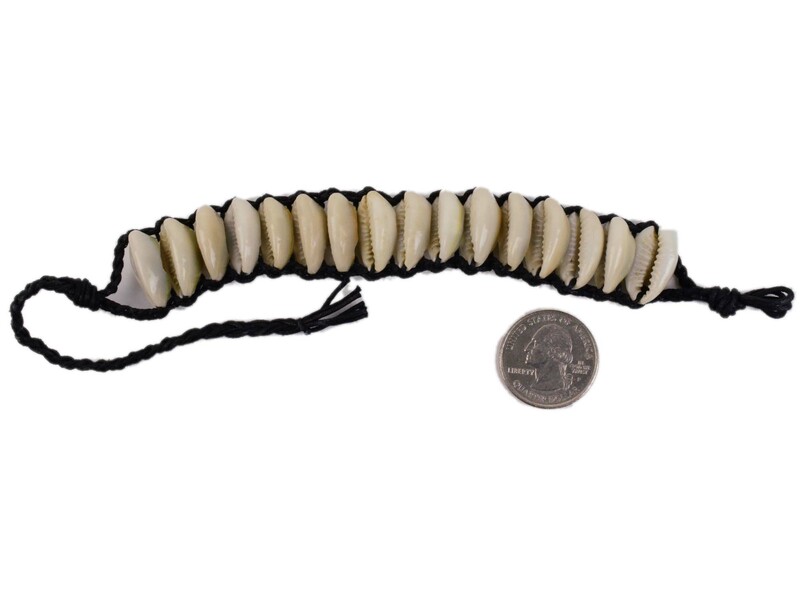 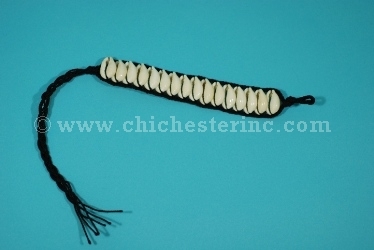 Style 1 is made up of approximately 14 shells and is 5" long or 13" long with the braided end. 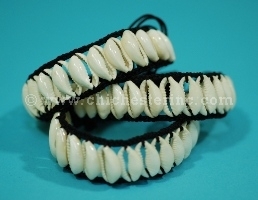 It has white cowrie shell beads. 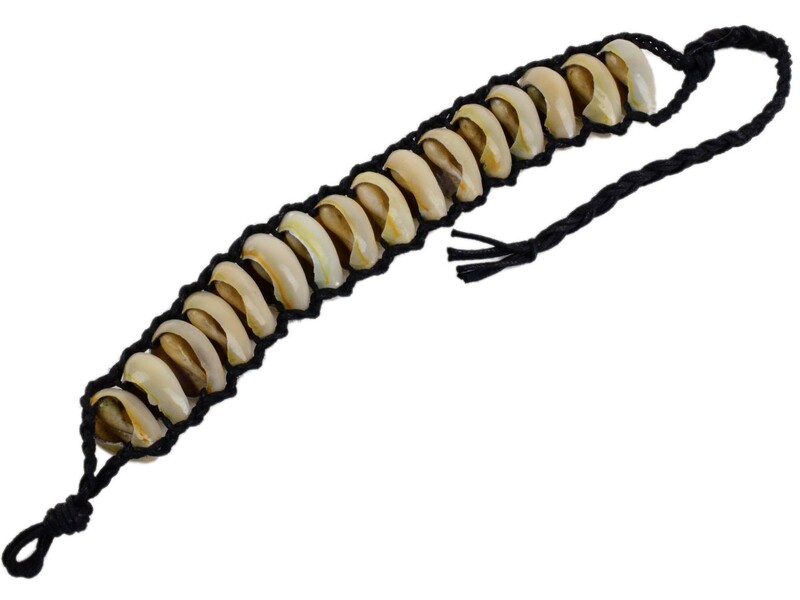 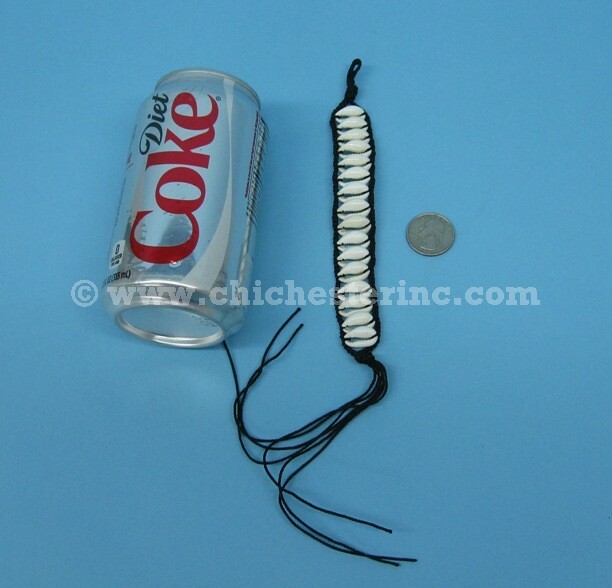 Style 2 is made up of approximately 16 shells and is 7" long or 12" long with the braided end. 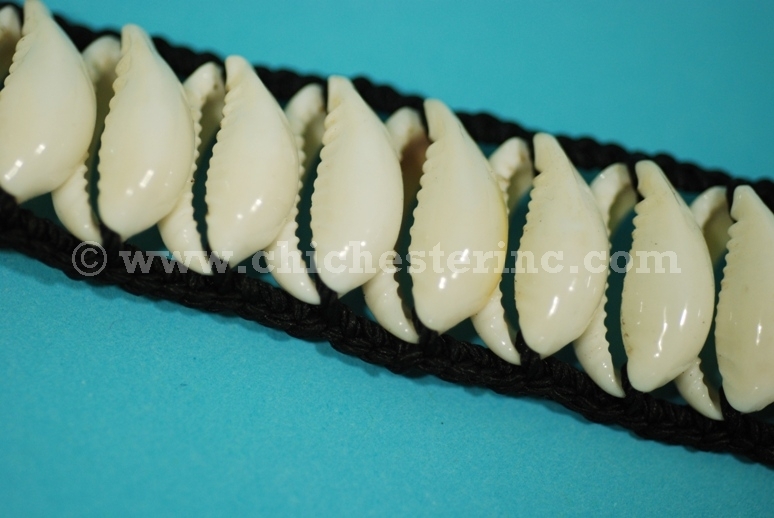 It has creamy yellow/natural color cowrie shell beads.